There are many benefits of having solar panels installed on your house, the biggest being that they can significantly reduce your home’s energy costs. 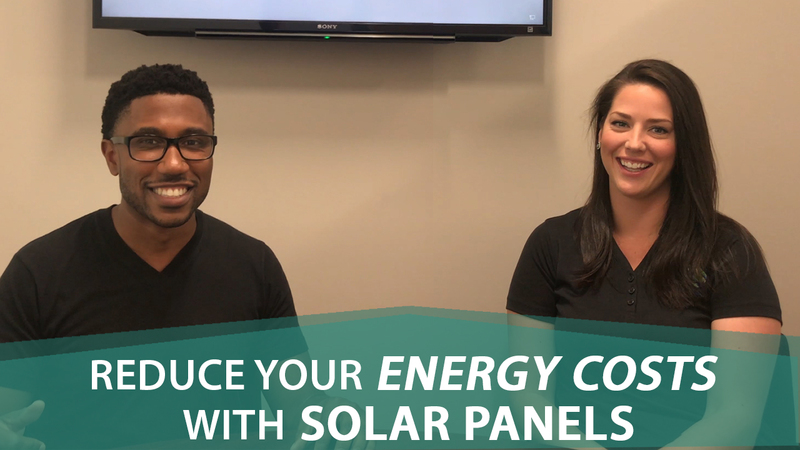 There are several benefits that come with having solar panels installed on your house, and I’ve brought in Kristin Hunt of Energy Saving Pros to answer a few quick questions about this topic. How do you calculate the rate of return of buying solar panels? According to Kristin, your rate of investment depends on how much energy your home uses. Every home’s energy expenditure is different, so you need to make sure that the solar company you buy from provides information about what your system will do for your home. SMUD uses a kilowatt-hour (kWh) as their unit of measurement to calculate how much your home’s energy output costs. Normally, you’d pay 11 cents to 40 cents per kWh, but installing solar panels will reduce your costs to 6 to 8 cents per kWh. How does the installation process work—can you do it yourself or do you need to have it professionally done? There are several DIY options you can try, but the benefits that come with having your solar panels professionally installed probably make it the smarter choice. Because your solar panel system will manage your electricity needs, you’ll have to get permits through your city, county, and your utility district. Installation also requires a lot of electrical work. At the end of the day, you’re trying to save the most money possible over the longest period of time, and if you have a professional installation done from a quality company, you will have a 25-year workmanship that backs their work. Over that time period, they’ll help you with your system’s maintenance and what permits you need. Is there a federal tax break for installing solar panels? Yes. From now until the end of 2019, you’d get a 30% federal tax credit when you file your taxes the following year. Because the Federal Trade Commission is part of the International Trade Commission, though, they can vote to have this credit removed at any time, so it’s not necessarily guaranteed. How do you know if battery storage is right for you? It depends on the area you live in and what your home’s needs are. If you live in an area where the power goes out frequently, battery storage is definitely something you want to consider. One of the great things about living in the Sacramento area, though, is we don’t experience many blackouts, so there’s not a huge need for battery storage. Battery storage can help offset the effects of your home’s daily 5 p.m. to 8 p.m. energy peak—the time when your system isn’t producing energy—but in Kristen’s opinion, the additional cost of battery storage isn’t worth the return in the long run for Sacramento homeowners at the moment. If you have any other questions about buying solar panels, contact Kristin Hunt by email at khunt@energysavingspro.com or by phone at (916) 660-5173. Also, you can reach Energy Saving Pros at (866) 497-6527 or visit their website energysavingpros.com. If you have any other questions for me, don’t hesitate to give me a call or send me an email. I’d be happy to help you.